This trip continues to be very fruitful, puzzling, and exhausting. As we go through our daily schedule is has become very clear to me that not having an assistant on this trip is not a good way to tackle this kind of work. So when I teach our young journalist, I now have a first hand knowledge of what a MMJ (multimedia Journalist) has to master. With my regular camera (Panasonic HPX370) I have everything at my fingertips, no menus to page through, no guesswork on audio and most of all, a superior image quality. So I have experience at this, my students are entering this area for the first time, and I know why they are sometimes scared. I have had only one failure so far, a left the top-of-camera mount for my Lite Panels LED camera light. Setting up the interviews, getting the microphone plugged in and levels checked, and making sure that I have enough space on the card are my biggest worries. My P-2 cards for the HPX camera hold 189 minutes of high quality audio and video. My SD card for the Nikon D800 is about an hour and it must compress a little to get it on the card. 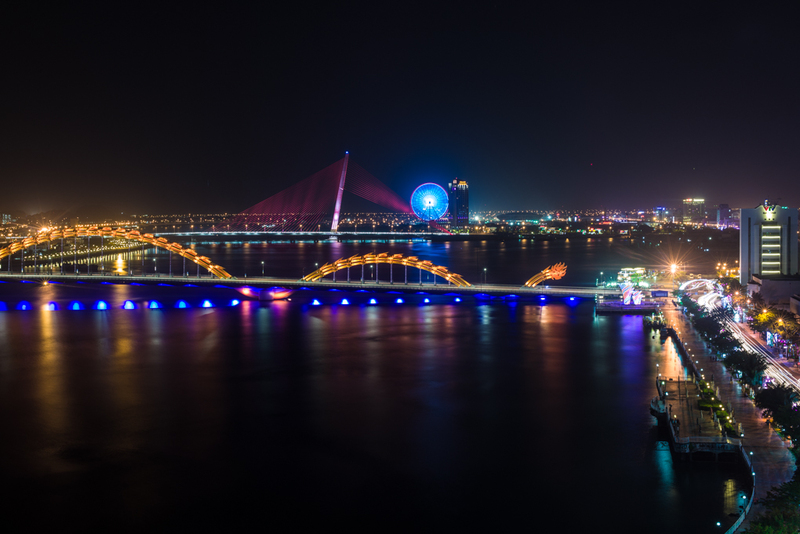 So there is frustration here in Vietnam, not something that will cause a failure in this project, it just will be a little more difficult to accomplish what I need. 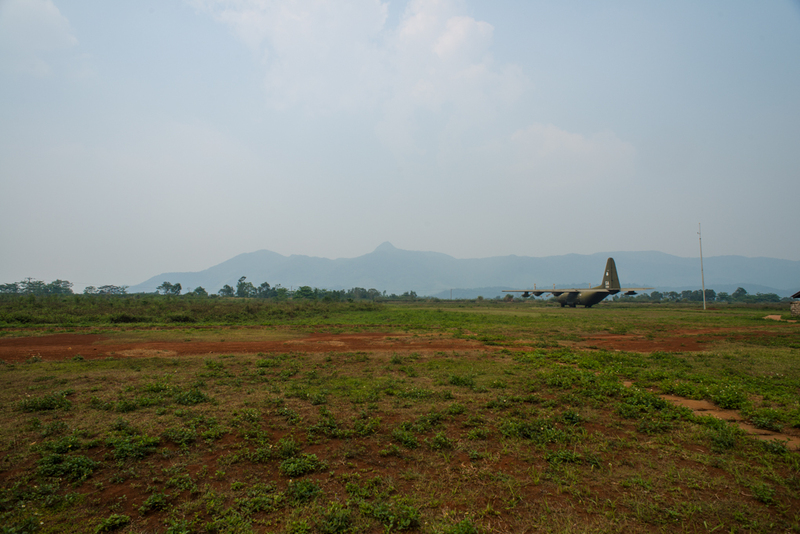 Our travels take us to one of the most controversial battles of the Vietnam War, the Battle for Khe Sanh. 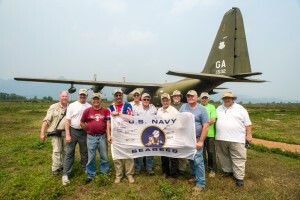 Two Seabees on this trip survived the battle, one was responsible for me taking this trip back to Vietnam. My goal was to record the emotion, the comments, the reactions to coming back to a really bad place after 47 years. Ray and Dennis place a patch in the red dirt at Khe Sanh. 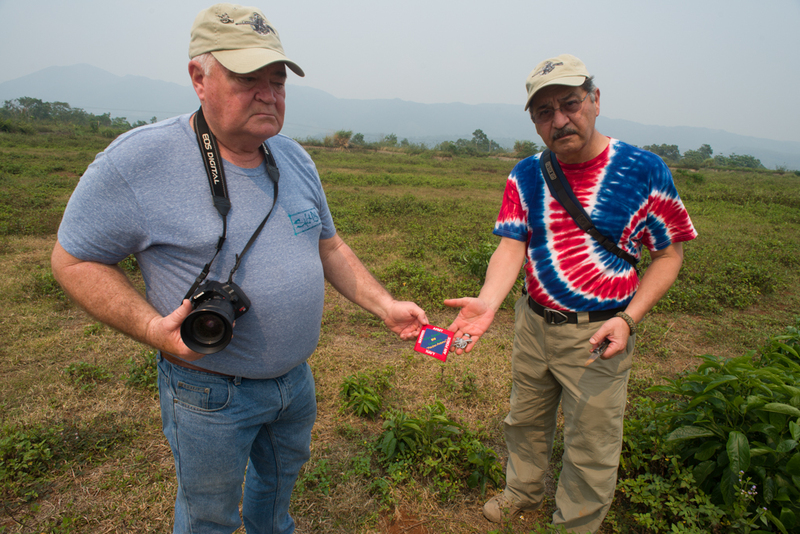 Ray Cruz and Dennis Whaler traveled back to the base at Khe Sanh where they buried a patch and medal in a small ceremony. The Battle of Khe Sanh was conducted in northwestern Quang Tri Province, between 21 January and 9 July 1968 during the Vietnam War. 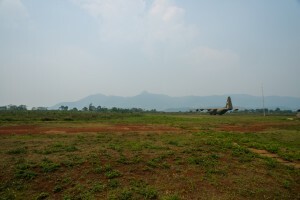 The American command in Saigon initially believed that combat operations around the Khe Sanh Combat Base during the summer of 1967 were just part of a series of minor North Vietnamese offensives in the border regions. That appraisal was altered when it was discovered that the NVA was moving major forces into the area during the fall and winter. 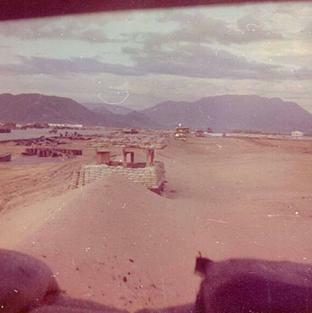 A build-up of Navy Seabees and US Marine Corps forces took place and actions around Khe Sanh began when the base was isolated. 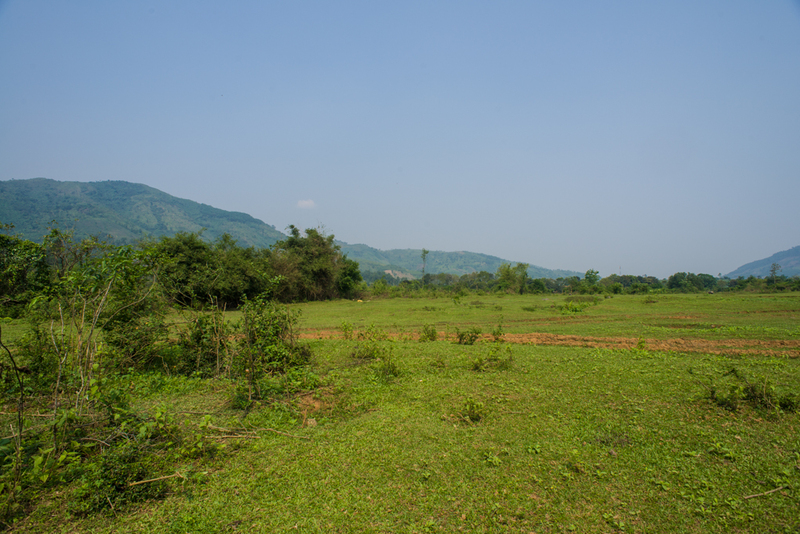 During a series of desperate actions that lasted 5 months and 18 days, Khe Sanh Combat Base and the hilltop outposts around it were under constant North Vietnamese ground, artillery, mortar, and rocket attacks. March 1968, an overland relief expedition (Operation Pegasus) was launched by a combined Marine–Army/South Vietnamese task force that eventually broke through to the Seabees and Marines at Khe Sanh. American commanders considered the defense of Khe Sanh a success, but shortly after the siege was lifted the new American commander in Vietnam, General Creighton Abrams, decided to dismantle the base rather than risk similar battles in the future. On 19 June 1968, another operation began at Khe Sanh, Operation Charlie, the final evacuation and destruction of the Khe Sanh Combat Base. The Marines withdrew all salvageable material and destroyed everything else. 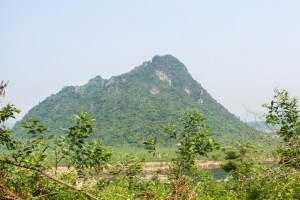 This mountain was known as the rock pile, not a very safe place. 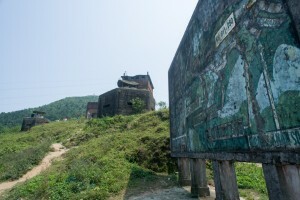 We continued looking at places were some of this in the group have served. 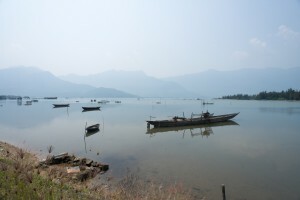 We had a long trip back to Hue for the night, then on to Danang in the morning. The food has been interesting, I enjoy rice and soups, the meat is sometimes questionable. We drink only bottled water, and one of the local beers, Hudah. The thought of pizza, a cheeseburger and anything Mexican is what is keeping me going. Today we stopped in a small place, most of them are, and had the traditional soup call pho, it’s a Vietnamese noodle soup consisting of broth, linguine -shaped rice noodles called bánh phở, a few herbs, and meat. Very nice, and on the side some Jackfruit. Jackfruit is one of its own kind of tropical fruits, recognized for its unique shape, size, and fruity flavor that can be appreciated from a distance, just don’t eat the seed. 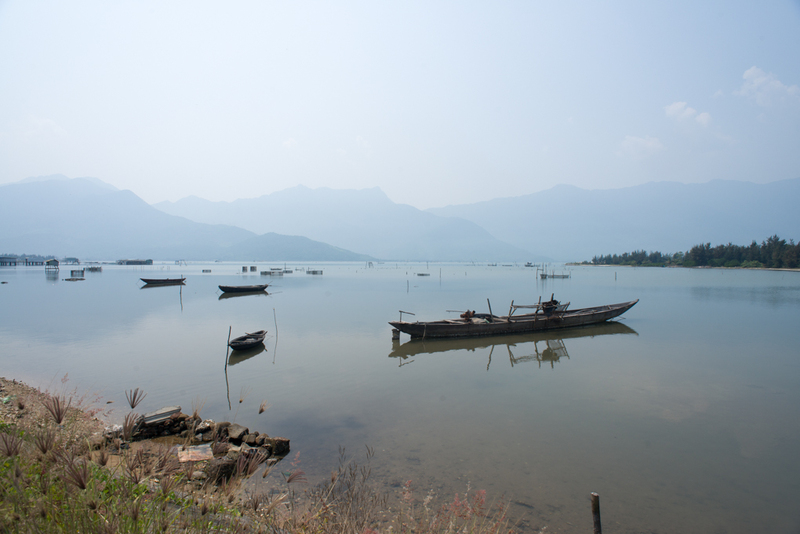 The Hải Vân Pass (ocean cloud pass), is a long mountain pass on National Route 1A in Vietnam. The twisting road on the pass has long been a challenge for drivers traveling between the cities of Huế and Đà Nẵng. 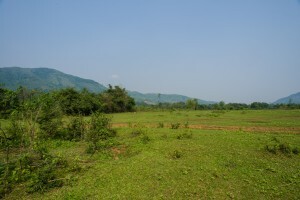 The pass has been of major strategic importance in this history of Vietnam, and for a long time represented a major barrier to any land army that attempted to move between the northern and central regions of the country. 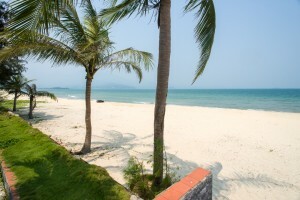 Red Beach is on the Bay of Danang about 15 km northwest of the city. NMCB – 58 (The Seabees) built Camp Haskin. 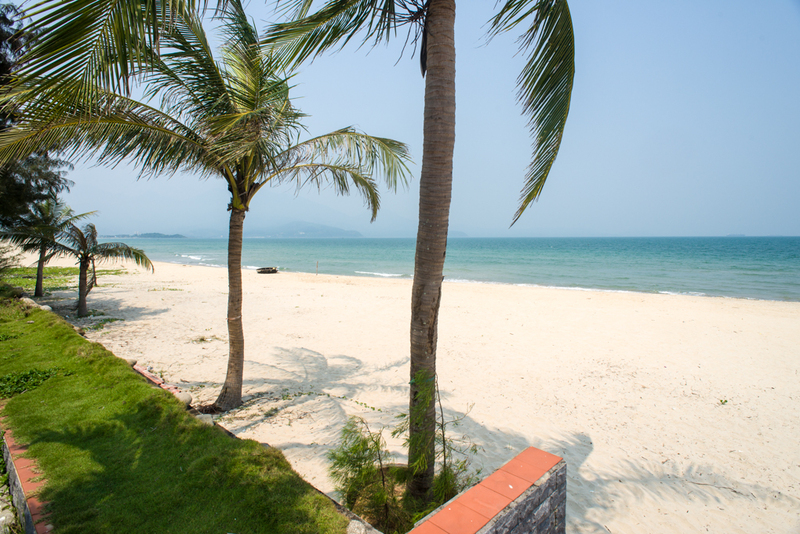 Red Beach is a complex of former U.S. Marines, Navy and Army and Army of the Republic of Vietnam (ARVN) logistics and support bases northwest of Danang. The base was located along Highway 1 and was the site of the landing of the 9th Marine Regiment, the first US combat troops deployed to South Vietnam on 8 March 1965. 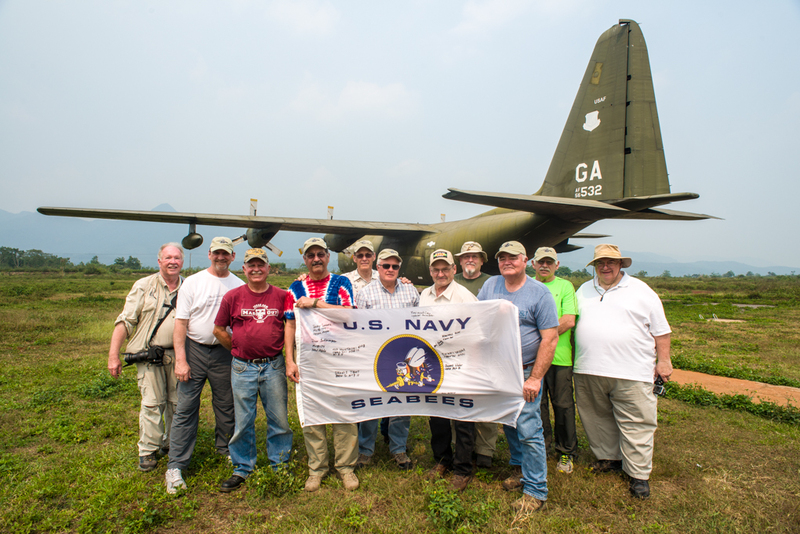 The Seabees who are on this trip have served at various locations here in Vietnam from 1967-1971. This trip back to here is one that a few Vietnam Era Veterans take for many reasons, some to remember, some to bury demons, some to just comes full circle with their lives. There are so many stories that are being told, it is amazing how when you get a bunch of veterans together, they just start talking. Some finding commonality, some just a safe place to talk about a war and event that shaped their young lives. Tomorrow its off to new places, new challenges and memories. The city of Danang at night. 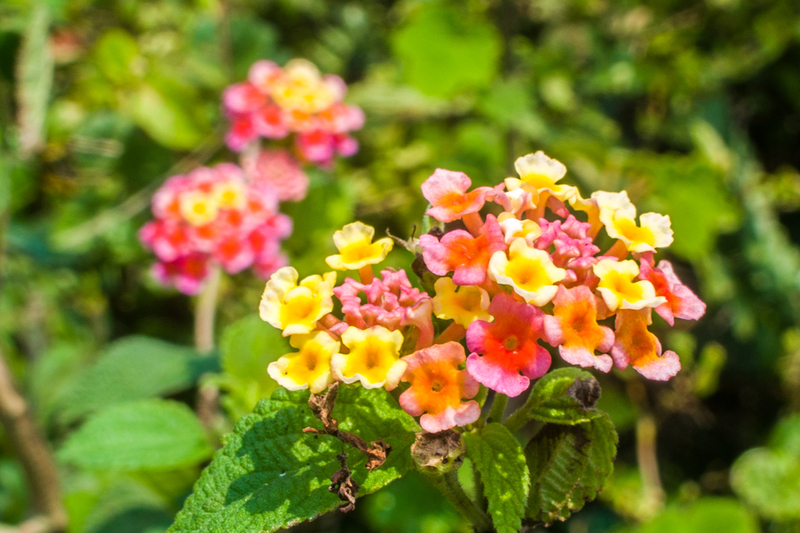 Some of the prettiest flowers are found in the jungle.